Florence is one of the most beautiful and romantic cities in Europe, and the best way to admire it is from the top of some of the most famous belvedere. Wait until sunset, take a camera with you and be ready to see some of the most stunning panoramas. At the top of the list is Piazzale Michelangelo on the left bank of the Arno River atop a hill. Walk from the city centre, or take the 12 or 13 buses. This is the most well-known lookout point in the city, and for good reason—the views are superb, the atmosphere is romantic and artists often play guitar and sing romantic songs nearby. As an extra bonus, try La Loggia, where you can eat or simply have a cocktail while viewing the beauty of Florence. Just few steps from Piazzale Michelangelo, hidden between several cypresses, you’ll find the ancient church San Miniato. One of the most beautiful—and most underrated—churches in Florence, it’s the perfect place to spend some time in silence and escape the crowds of the city. 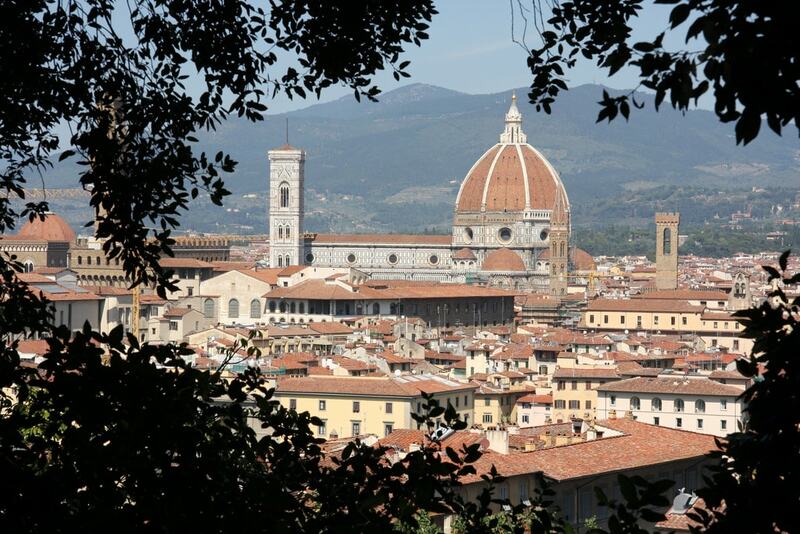 Once there, admire one of the most fabulous vistas over Florence. 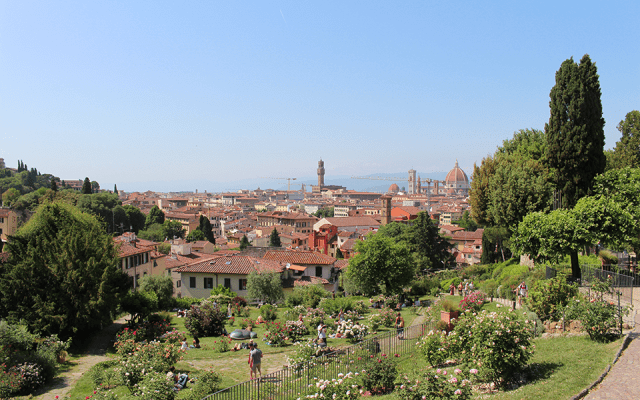 Although the Boboli Garden is the more popular tourist destination, if you are looking for a place to admire the best panorama over Florence, choose Giardino Bardini. This spectacular spot is only a 10-minute walk from Ponte Vecchio and offers terrific views over the city, as well as a large collection of flowers, including magnificent wisteria. This small hidden garden is just below the crowded Piazzale Michelangelo. It is frequented only by curious travelers and Florentines looking for peace and quiet in a beautiful location. Entry to the garden is free, so if you want spend some time surrounded only by perfumed flowers and plants while admiring the panorama over Florence, there is no better place for you than this giardino. 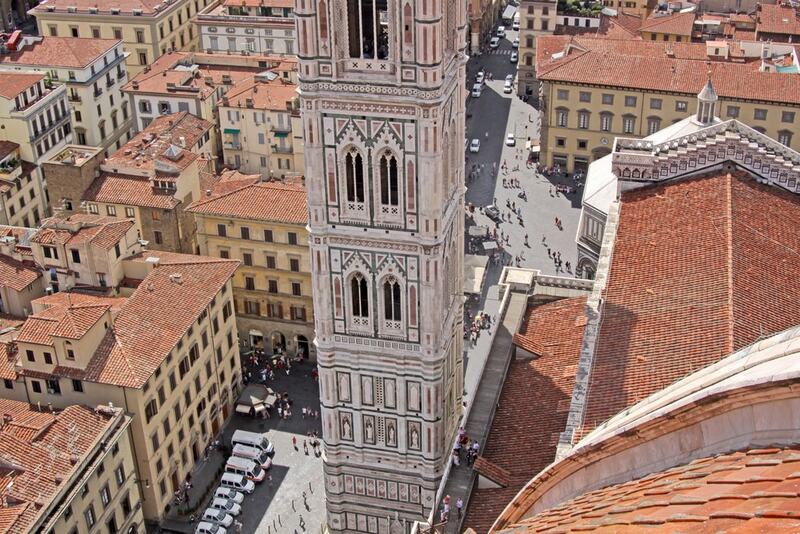 You cannot say you have been to Florence if you haven’t climbed to the top of the dome of the Cathedral of Florence. This magnificent church is home to one of the most spectacular domes in the world, designed by Fillipo Brunelleschi in the early 15th century. 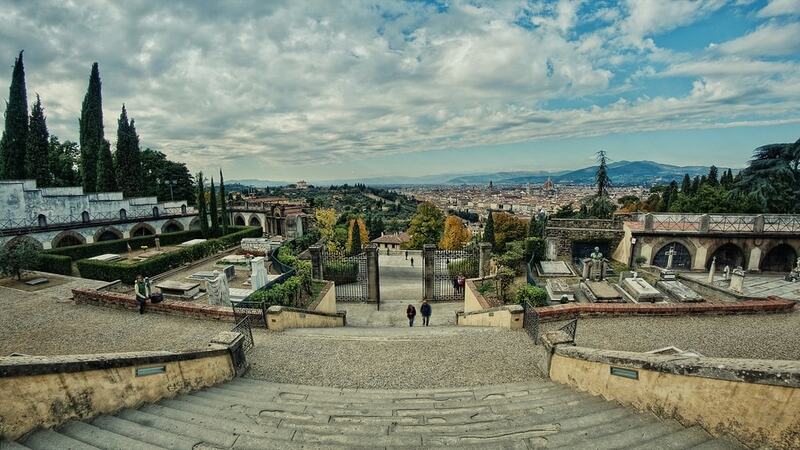 To reach the very top, you have to climb more than 400 steps, but the views of Florence are worth the effort. Prepare to be amazed by the perfection of the red rooftops of the city centre.